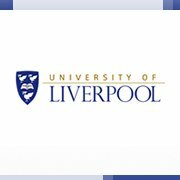 The University of Liverpool is a public university based in the city of Liverpool, England. Founded in 1881 as a university college, it is also one of the six original "red brick" civic universities. Understanding Superstructures via FutureLearn 3 hours a week , 5 weeks long 3 hours a week , 5 weeks long 22nd May, 2017 No reviews yet. Beyond Diagnosis: Is Psychiatric Diagnosis helpful? via FutureLearn 4 hours a week , 2 weeks long 4 hours a week , 2 weeks long 24th Sep, 2018 No reviews yet.